Join us on the first leg of our program at the Belmond Mount Nelson Hotel – Cape Town’s legendary luxury resort and the hotel of choice of cultured global travelers since 1899. The Mount Nelson combines its romantic heritage, warm professional service, timeless style and a magnificent setting, reinforcing its reputation as one of the most iconic leisure hotels on the African continent. Conveniently located within the city’s cultural centre, the hotel is ideally situated for guests to explore the heart of the city, the Victoria and Alfred Waterfront (a ten minute drive from the hotel) and the best beaches. After three days in beautiful Cape Town we travel to Botswana’s Chobe National Park, a dynamic wilderness with a sweeping expanse of savannah, and dotted by rocky outcrops surrounding a marsh and the Savute Channel. Unpredictable wet and dry cycles shape the landscape and wildlife. The Savute Channel flows freely again after nearly 30 years of lying dormant, one of Northern Botswana’s greatest mysteries. Participants will stay at the Belmond Savute Elephant Lodge, which hosts a cluster of twelve room residences raised on wooden platforms. Each has an outdoor lounge and is shaded by a traditional thatch roof. The large, private decks are furnished with easy chairs and a hammock. These are ideal for viewing wildlife, or for enjoying an intimate dinner in complete privacy. Participants will quickly recognize the quality they have come to expect from the Belmond brand. Perched on the banks of the Savute Channel, with an elevated view of the river, the Belmond Savute Elephant Lodge is a spectacular base from which to explore the area. 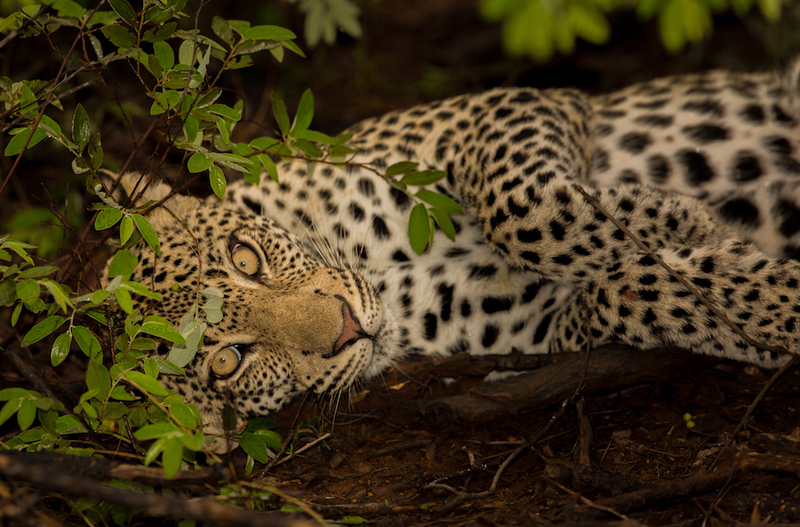 Savute is also unrivaled for its sightings of excellent predator / prey interaction and is a ‘must stay’ on any Southern Africa safari. We are extemely fortunate to be visiting Savute during October, one of the two zebra migration months. During this time of the year the nutritious grasses of the Savute Marsh attract large herds of zebra. Savute is also home to some very rare rock paintings by Bushmen who once inhabited the region, and its little forests of ancient baobabs. Out in the bush, where rocks rear up among stony hills, are a collection of ancient paintings that take your breath away. These works by Bushmen are thought to be more than 1,500 years old—beautiful images of elephant, giraffe, sable and eland antelope. Normally these types of paintings might be found hidden in caves, but here, they are out in the wide, open landscape. No one knows what materials the Bushmen used, but the paint is thought to be a mixture of snake venom, blood and plant juices. After viewing these paintings, continue to the amazing baobab grove—a cathedral-like cluster of 13 giant trees that rival the Bushmen’s paintings in age. Stand among these towering columns at sunset, as the evening light bathes them in a russet glow and drinks are handed round—and wonder at this ancient land. We are so very excited to bring this program to our guests. The continent of Africa is described by world-travelers as unforgettable and enchanting. We talk with people from all over the planet about new and exciting venues for our events. This location has easily elicited more excitement than any of our past programs. Single supplement rates are available, please inquire. All cancellations are subjec to a $600 penatly. Some deposits to third party vendors may also be at risk of loss.